"Hi I'm Adrianne from On the Windy Side. 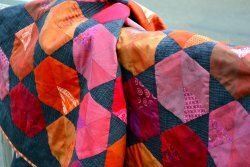 Like many quilters I am a total fabric addict. 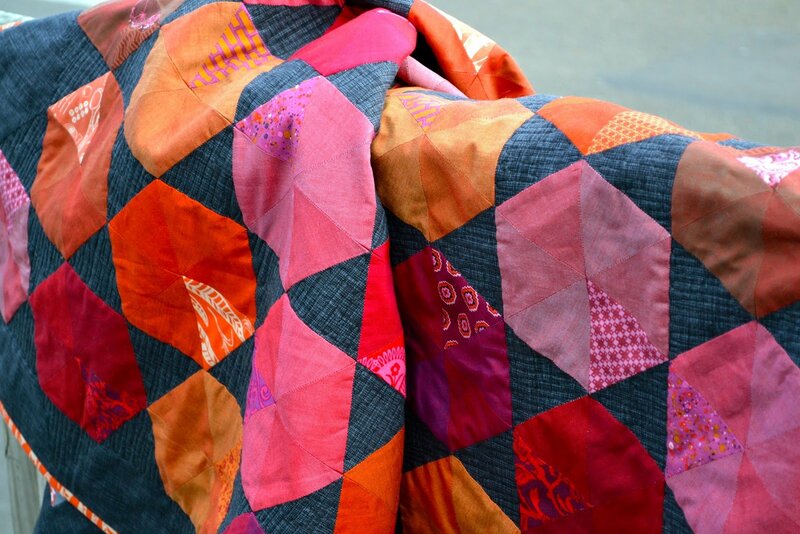 I love it when blogs introduce me to fabrics that I might not otherwise have known about. 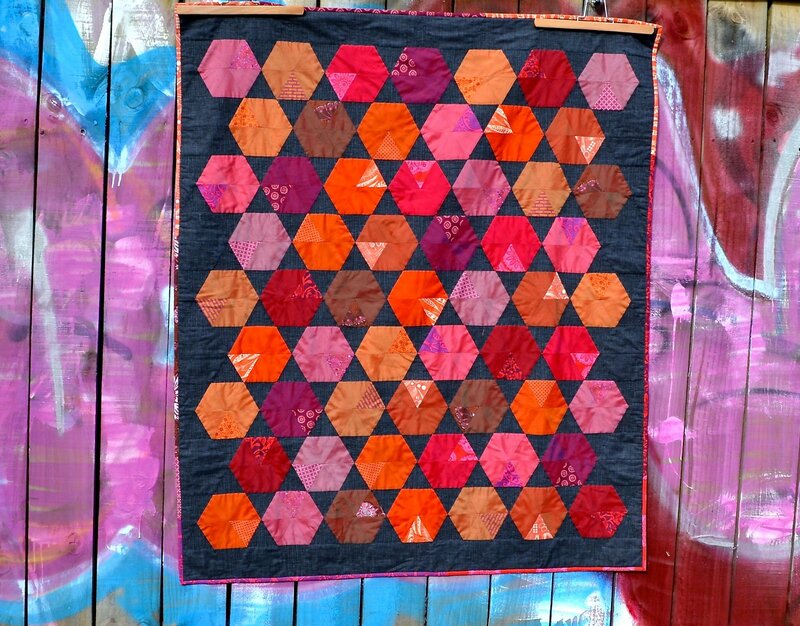 Oakshott Shot Cottons are a perfect example of this - I hadn't heard of them until I started seeing their rich and vibrant fabrics popping up online. "When Lynne announced her 'Made with Oakshott' feature, it seemed like the perfect opportunity to play with these lovely fabrics and challenge myself in the process. 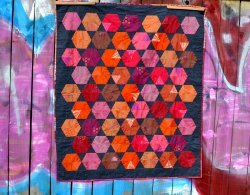 Thanks so much Lynne, for picking my idea (originally based on this sweet double hexagon pillow tutorial from Lovely Little Handmades), and Michael Oakshott, for sending me the gorgeous Ruby Reds bundle."